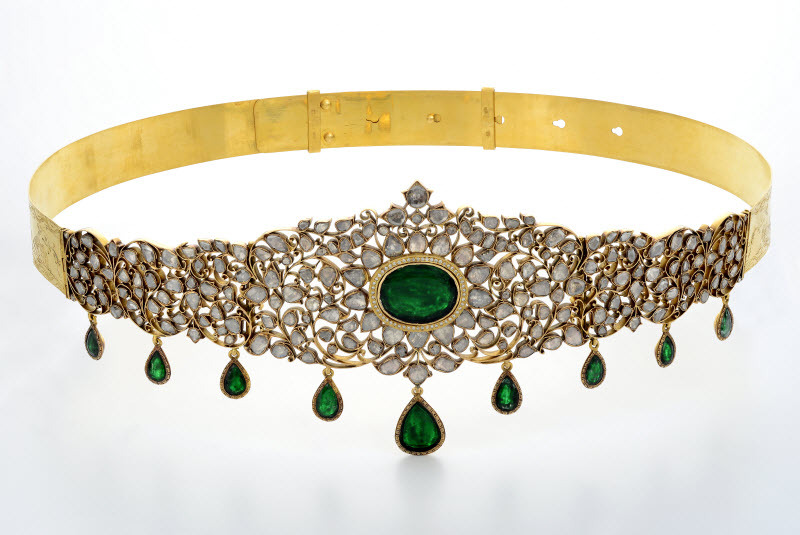 The natural sheen and elegance of ethnic kundan work has made it a popular choice for bridal jewellery. 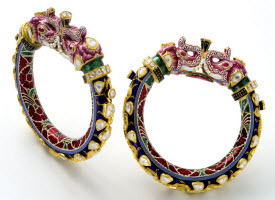 Kundan is a traditional Rajasthani jewellery style that dates back to the Mughal era. 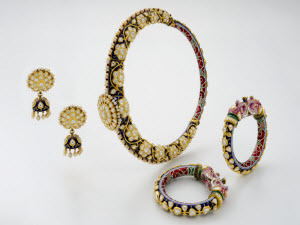 It has gorgeous variations such as the royal polki jewellery and delicate meenakari jewellery. 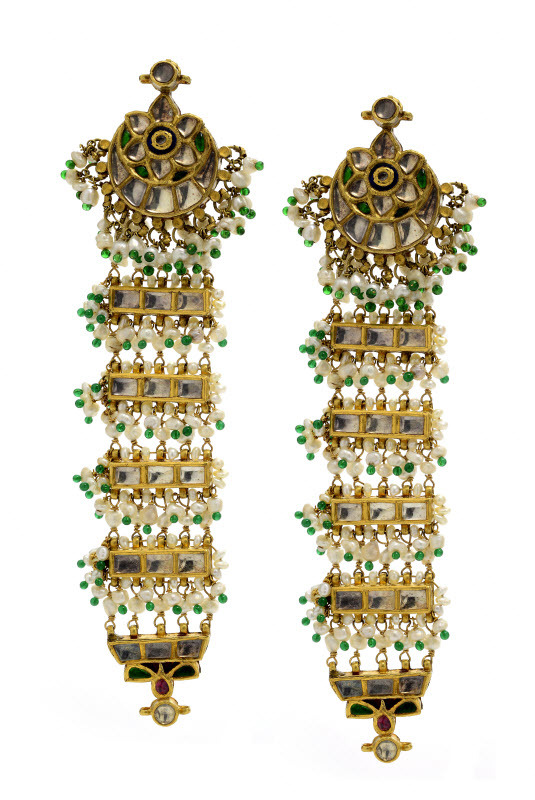 Expert craftsmen use handpicked gemstones and create stunning inlay designs in gold plated frames. 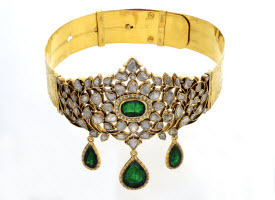 Tibarumals Jewellers, Hyderabad has a wide collection of impressive kundan jewellery featuring Bead Studded Bangles, Necklaces, Chokers, Chandelier Earrings. ©2019 Tibarumals Jewellers. All Rights Reserved.